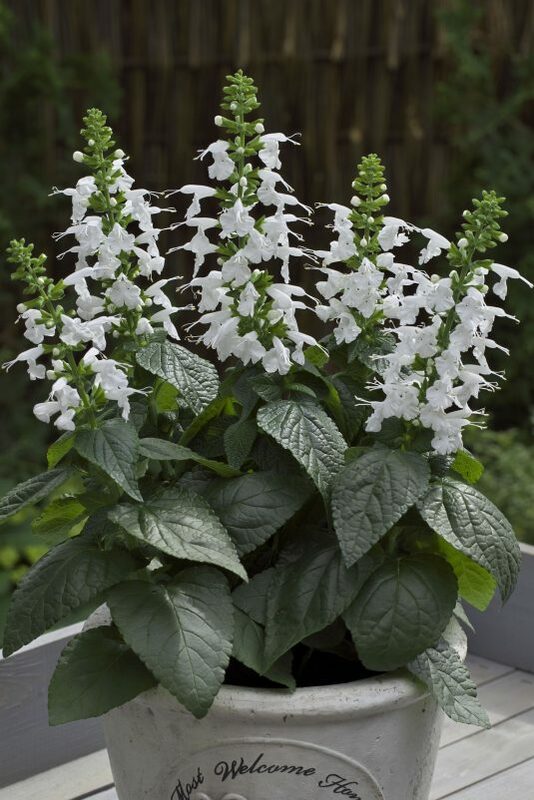 A third color in the popular Summer Jewel™ series, white brings a much-needed color to compact salvias. 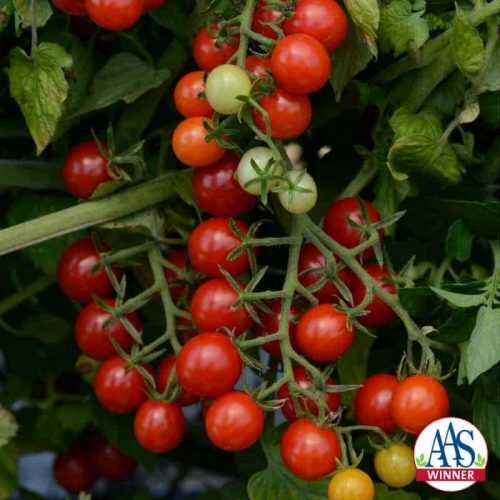 This dwarf sized, compact plant has a prolific bloom count throughout the summer. 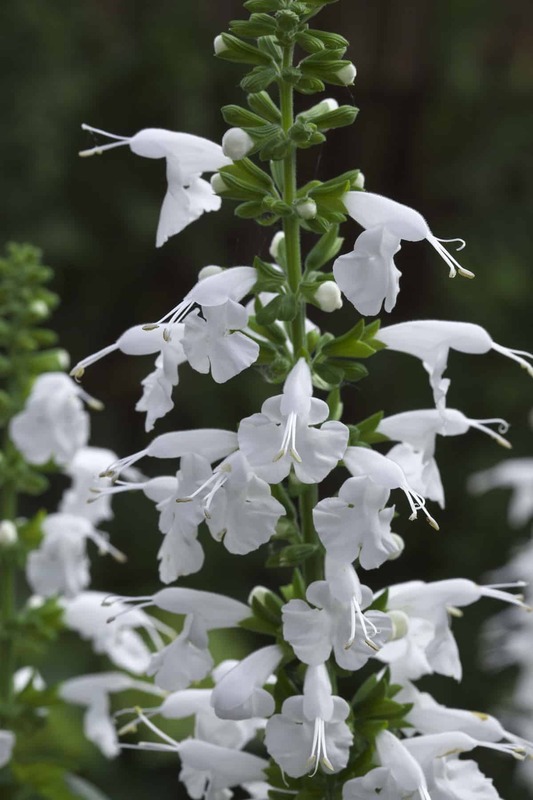 As a bonus, the blooms appear almost two weeks earlier than other white salvias used as comparisons. Judges noted how the bees, butterflies, and hummingbirds loved the larger flowers, making it perfect for a pollinator garden. 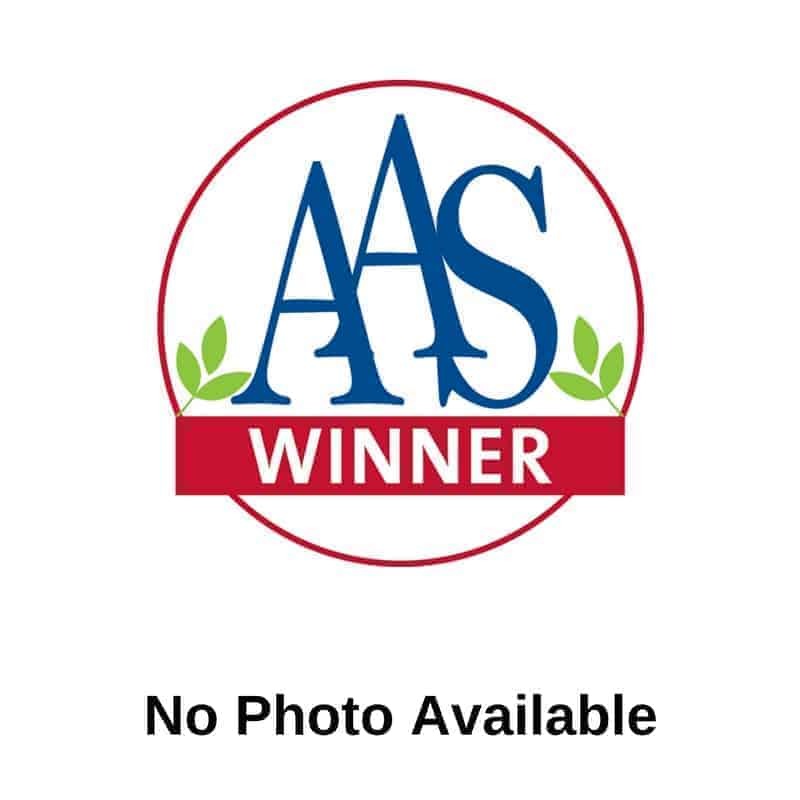 Because of the compactness and number of flowers, Summer Jewel™ White is great for large landscaped areas, as well as containers and small beds. 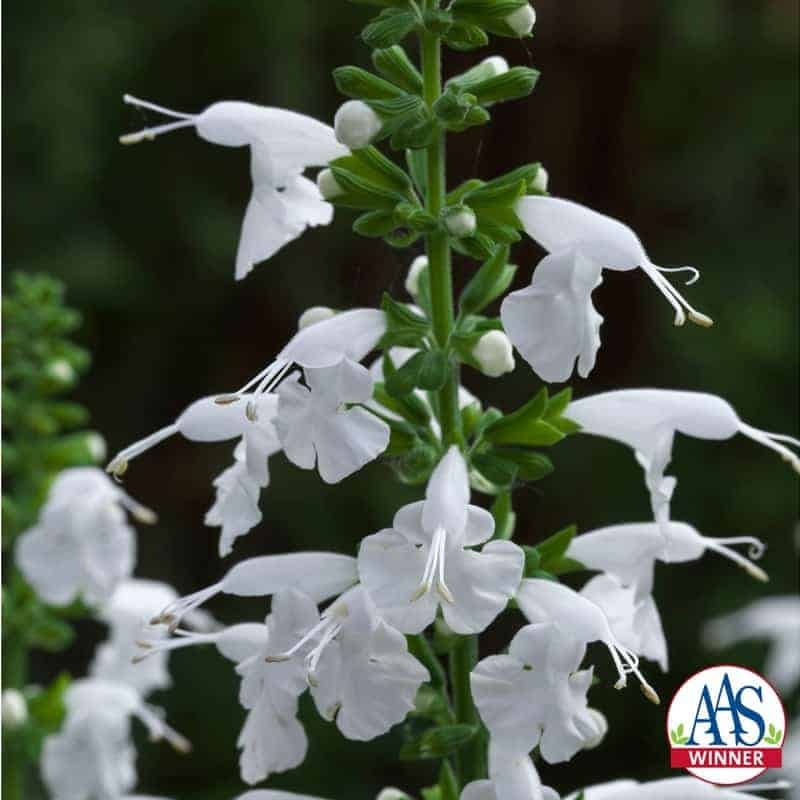 Commercial growers now have an excellent compact white salvia coccinea and will appreciate the earliness, uniformity, and excellent pack performance. 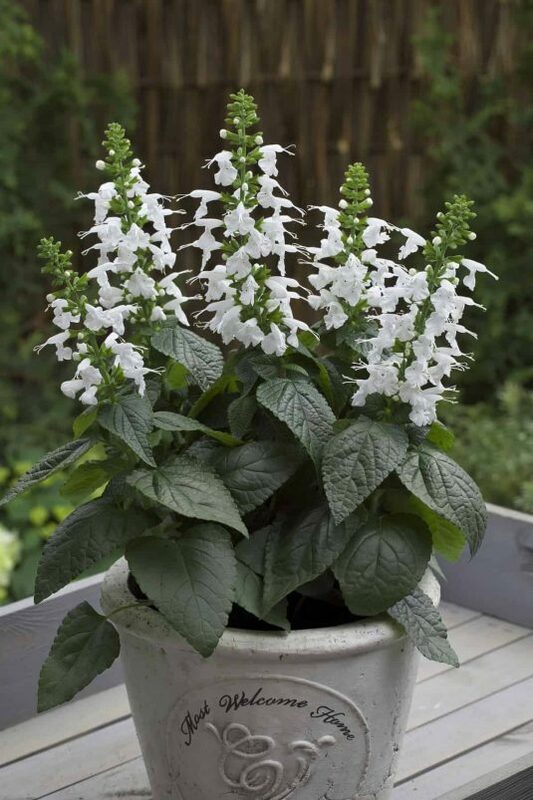 Salvia Summer Jewel White performed extremely well for me in SE Pennsylvania. 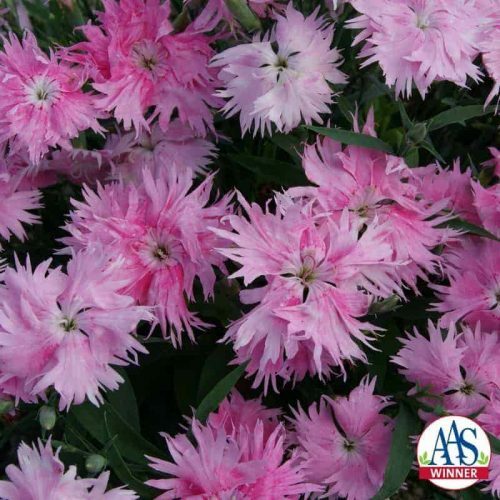 From late spring through frost, this compact annual was covered with blooms. As a bonus, I found it had reseeded the following year and its garden performance was as good as the initial planting.